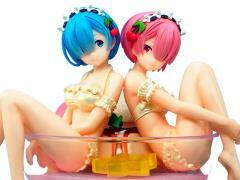 Rem and Ram together are quite a treat in this dessert-themed figure! Sitting in a pudding cup, Rem and Ram from Re:Zero Starting Life in Another World are sculpted wearing shiny bathing suits with sweet smiles on their faces! 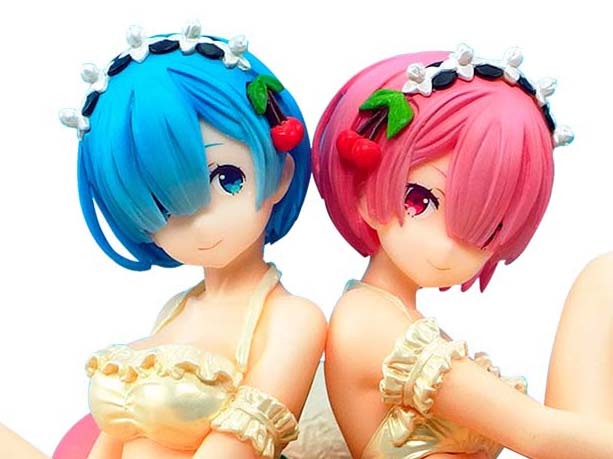 Add this sweet piece that's sure to be a stand out to your collection!